Can’t camp? Don’t worry, pop along for the day or just drop in for an hour. Creation Fest is free to attend, making it the ideal place to visit while away on a summer afternoon. 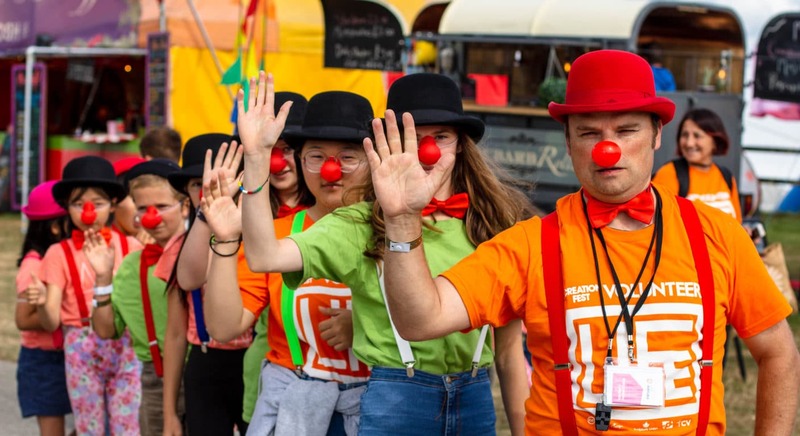 Whatever your age, whether you to go church or know nothing about Jesus, there’s sure to be something to entertain you at Creation Fest. Explore our range of thought-provoking seminars, check out the kids and youth programmes, or find out what free, fun activities are going on. Love skating, sports or arts? We’ve got you covered. Want to worship Jesus along with some of the world’s biggest Christian artists and a few thousand other people? You got it. Oh – and did we mention it’s all FREE? 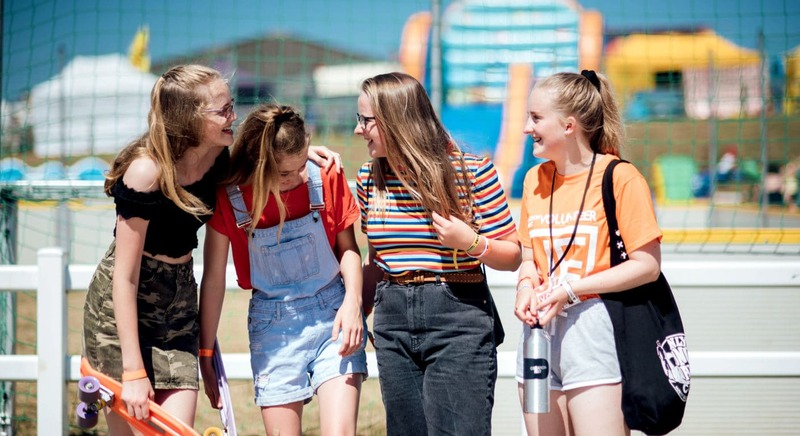 We have five onsite cafés this year: The Big Shed Café, Showcase Café, Youth Café, Parent & Youth Leader Café and Rising Ground, our very own campsite coffee spot. All serve a great range of hot and cold drinks, cakes, pastries and snacks, including ice-cream, scones and savoury treats. PLUS: don’t miss our festival food trucks on the Main Street for good-to-go fast food from around the globe. Want to apply to be a food vendor at Creation Fest? Get in touch! The festival site is open from 10:00 to 22:00 daily, apart from the first day, when it opens at 12 midday. Only registered assistance dogs are allowed on site. Please register your dog with the Welcome or Information Team on arrival and ensure that your dog is wearing their official vest/jacket and his their assistance certificate with them. We love orange, but we love green too! Bring your own water bottle and refill it at one of the many taps on site. Help us eliminate single-use plastics AND save money. It’s a win-win. Bring a reusable coffee cup. We’re trying to reduce the number of coffee cups that end up in landfill and this is one easy way. Leave no trace. Respect the beautiful countryside that surrounds the showground by placing all of your rubbish into the bins provided and recycling wherever possible. Creation Fest aims to be fully inclusive of all people who wish to come to the festival and is working hard to improve our accessibility. As well as Count Everyone In, sessions geared specifically to enable our friends with learning disabilities (and anyone else too) to access Creation Fest as fully as possible, there’s accessible camping, parking areas, toilets and showers, BSL interpretation and mobility scooter/wheelchair hire.